The St. Louis Mardi Gras presents "The Taste of Soulard" at participating restaurants and pubs located throughout Historic Soulard. This is a self-guided tasting and pub crawl event available on two days: Saturday, February 23rd and Sunday, February 24th. Saturday attendees can enjoy complimentary trolley rides from one establishment to the next. Tickets can be purchased at any of the participating establishment on either day of the event. Every $25 ticket includes one drink voucher and six food vouchers. Website has information on how to purchase advance tickets. See website for information on ALL the other Mardi Gras festivities! 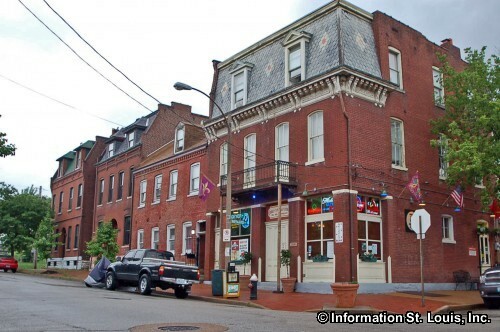 Soulard, a neighborhood in the St. Louis Historic District and on the National Register of Historic Places, is well known for its festive and sometimes rowdy Mardi Gras and Bastille Day celebrations. This south side neighborhood also has a wonderful restaurants, pubs and the historic Soulard Farmers Market. Directions: The Soulard Neighborhood is located on the near Southside of the City of St. Louis and is bordered by Interstate 55 on the north and west; and Broadway on the east. From Downtown St. Louis take Broadway south into the neighborhood. From I-55, take Exit #206C/Arsenal Street and go east. From Gravois/Highway 30, take Arsenal, or Sidney, or Julia, east into the neighborhood.